Not all Metal Panels are the Same. NO SEALANTS, GASKETS OR BUTYL TAPE IN THE PANEL JOINTS MEANS NO DIRTY STREAKS OR MAINTENANCE. These are the recommended maximum size panels guides. 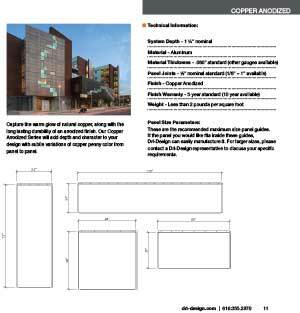 If the panel you would like fits inside these guides, Dri-Design can easily manufacture it. For larger sizes, please contact a Dri-Design representative to discuss your specific requirements. Less than 3 pounds per square foot. A substrate must be used behind the Dri-Design Wall Panel System. 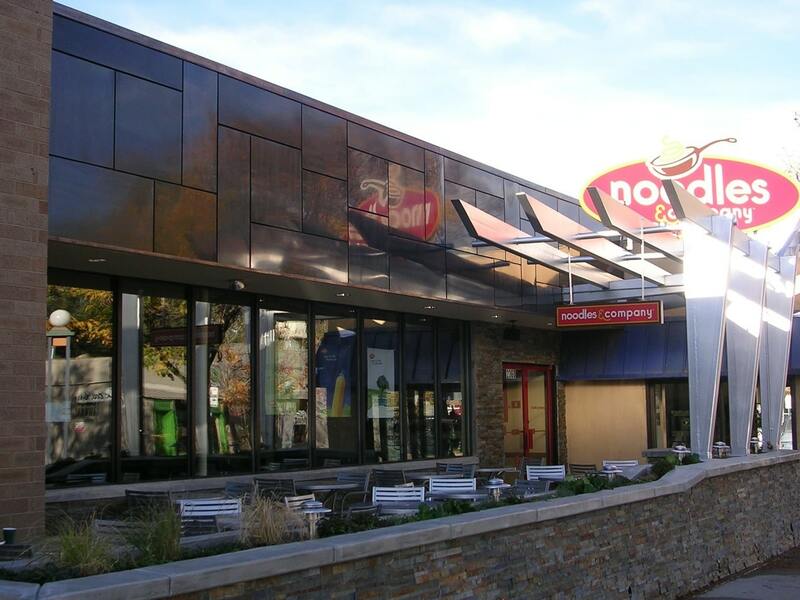 Some substrate options are 5/8” plywood, DensGlass Gold® or exterior grade gypsum board. 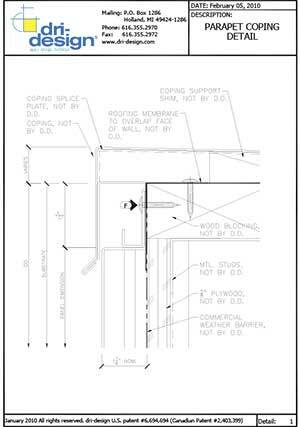 Plywood will hold a fastener, however, if DensGlass Gold® or exterior grade gypsum board is utilized, a flat strap or hat girt will be required. A weather barrier is required for all Dri-Design installations. Your specific design and details will determine whether the barrier needs to be breathable or not. Please call us at 616-355-2970 or e-mail sales@dri-design.com with any questions regarding your specific project. We recommend that stainless steel fasteners be used with neoprene or plastic washers. Proper reinforcement must be installed behind the panels when attaching objects such as signs, lights, and railings. DO NOT attach anything directly on the panels. Due to human chemical makeup, fingerprints are quite visible on copper. Gloves and long sleeved shirts should be worn during installation. Metals are rated according to their nobility ratings. When dissimilar metals are in contact with each other in the presence of oxygen and moisture, the more noble metal will corrode the less noble. Copper is one of the most noble of metals and must be separated from other less noble metals. Contact between dissimilar metals should always be avoided. If contact cannot be avoided, the adjacent surfaces should be painted with bituminous or zinc chromate primers or paints. 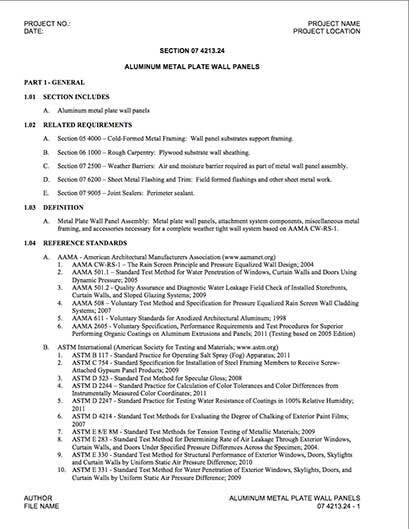 Taping or gasketing with non-absorptive materials is also effective. Care should be taken to prevent the wash from copper surfaces onto adjacent, exposed less noble metal surfaces, since the traces of copper salts carried in the wash can accelerate the corrosion of less noble metals. Copper is a natural metal and therefore you can expect slight color variance from coil to coil.